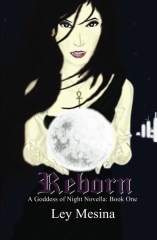 Reader Girls welcomes Indie author Ley Messina who has her debut novella, Reborn, published last spring. Reborn is a YA paranormal. Book Blurb: Lily Westbrook discovers that being half witch and half vampire is more of a challenge than she thought. When her powers mature on her eighteenth birthday, she unlocks a mystery that many witches thought was a legend. It’s been almost two months since I was bitten, but it's starting to get easier to control. My attempts to kill were difficult. Every time I tried, I pictured their families in mourning, and it would be because of me. How could I live with myself I asked this question every time temptation rose, but the weaker I became the harder it was to rationalize and resist. The blood of animals helped, but it wasn't enough. I craved blood – human blood. I remember that evening when I finally came out of hiding. I crawled out of the cave I had been living in since I was turned; the place I had called home after mine was burned to the ground from Alexander Von Draco’s guard. Since the man was already dead, I didn’t see the harm. I fed from him, drinking every drop of blood. This is how I survived these past months. Sometimes a murder would ensue or someone had gotten sick, or even those who died of old age. I convinced myself that this was the only way to survive. Lily Westbrook stood on the rooftop of her Aunt Trudy’s apartment building gazing at the blanket of stars hovering over her. She closed her father’s journal and sighed. It’s a page that she’s read over and over again, but it surprised her every time. She inhaled the night air and closed her eyes to gather her thoughts. A slight smile formed across her face as a faint breeze brushed against it. Even with the blazing sound of police sirens twenty stories below, she was lost in her concentration. She was excited to try her new spells, waiting for the night sky before unleashing the chants memorized in her head. Her eyes opened hastily exposing nothing but darkness, something that always happens when she performed her witchcraft. Her hands moved graciously as she swayed them back and forth. The wind grew stronger and the sound of the rustling trees echoed louder than the city noises below. She could feel herself getting weak, but pushed further remaining focused. Her hands, now moving rapidly, conjured the wind to increase. She heard the faint sounds of car alarms and trashcans tumbling down the hill. Her pulse raced and her heart accelerated. Feeling as though her whole body was about to explode; she dropped to her knees unable to continue. With her eyes tightly shut, she gasped for air and waited for her shivering body to calm down. Slowly, her eyes opened revealing her natural blue color. Frustration overwhelmed her, but her eighteenth birthday was minutes away and she knew that she would gain full control of her powers. She got up and walked toward the edge of the rooftop. She wrapped her arms around her feeling the coolness of the air. Even in the summer, the mist from the ocean made the nights cold. From the distance, she could see the thick fog dancing around the Golden Gate Bridge and was positive that she could hear the water clashing against the rocks. Her sight and hearing were improving, she thought. She wondered how much powerful she would become once she turned eighteen and how strongly it would affect her abilities as being half vampire. Eighteen - the age when all witches powers are fully matured. Her Aunt Trudy explained that on her eighteenth birthday, the feeling of her powers maturing was exhilarating; like a missing part of her was finally found. Trudy said that many witches live a normal life. Others join a coven and stay in command of the Witches Council, whereas a selected few join the council if they show their abilities are worthy. Lily thought about how her Aunt Trudy despised the council, but when Lily would press the conversation, she would just brush it off and say that the council was not the same as it was when she was in a coven. Trudy separated herself from that world in the 80s, years before Lily was born. She stated that she didn’t agree with their politics, so they freed her and banned her from the witches’ world for good. Trudy didn’t mind. She found happiness with a man named Brian Westbrook, to whom she was married to for nearly ten years before he was killed in a car accident. Trudy later learned by Nathaniel that her marriage to a mortal kept her hidden from the council and he thought it was wise to use the Westbrook name to shield Lily’s identity as well. Lily knew her existence was kept in secret. The only thing she knew about her parent's death was that they were killed because of their romance. Vampires and witches are sworn enemies, and the joining of the two is forbidden. As far as they knew, the council had no idea that Claire was pregnant. Trudy could see the headlines now. Claire Buchannan, one of the most beloved and respected witches is conceiving a child with Nathaniel Kensington, one of the most powerful witches in history, who turned into a vampire in the 1600s. Oh yes, the council would have a field day over that one. This is why Trudy had feared Lily’s safety, if she was discovered who knows what the council would do to her. Despite not having her parents, Lily was thankful that she had her Aunt Trudy and Uncle Arthur to help guide her. Though Trudy knew she wasn’t as powerful, she was able to teach Lily several things about witchcraft using her old spell book. Trudy’s abilities were different than her sister Claire’s. She was able to communicate with the dead. Her powers had helped many families and spirits resolve any unfinished business and she made a living using her gift by doing private readings. However, when Claire went into hiding, she decided that it was time to step out of the limelight and not draw attention to herself. After Claire’s death, she tried once more to communicate with her but was unable to reach her. She thought she was losing her ability and since then hasn’t used it. She’s tried focusing on living a normal life with Lily, as the owner and landlord of the apartment building. “I’m not nearly as good as your mother was,” Trudy would say about Claire. “And I certainly wasn’t anything like your father,” she said of Nathaniel. “You’re doing a great job training me.” Lily would assure her. Her Uncle Arthur, a family friend of her parents, is an elder; one of the oldest vampires alive. Arthur has always been a father figure to Lily, teaching her how to use and control her abilities. “The one benefit of being only half vampire is that you don’t crave blood like other vampires do.” He would joke. Lily could hear the voices of guests who had started to arrive. Her aunt was throwing her both a birthday and goodbye party. She thought about her aunt and grew sad. Just as Arthur was like a father to her, Trudy was much like a mother. Her parents left her with her with Trudy the day after she was born and Lily knew it would be hard for her aunt, especially since she was leaving. The decision to go to Kensington University was difficult for Trudy to grasp, but she eventually accepted the decision, knowing that Arthur would follow. Arthur had lived in Cedar Creek on and off and stayed for several years during the 1900s when Nathaniel was constructing the university. He thought it would be a good idea to return once Lily started college. Lily had received several offers from prestigious universities, but Kensington University was the only choice for her. It was a way for her to somehow hold onto her parents. The town was originally founded by the Kensington’s. This was not only her parent’s and ancestor's home; this was also where Lily was born. Cedar Creek was located in Massachusetts. This was a small town occupying a little over 2900 long time residents and 800 students at the private university. The only vampires that occupied the town were the Von Draco’s – Arthur’s son, Drew, and nephew, Xander. Lily wondered aimlessly on the ledge of the rooftop, looking through the windows across the street. In one window, she saw a little girl watching television with her parents. She envied her, wishing that she could have had a memory to hang on to, but she had nothing. Her parents had made her a small stoned Ankh pendant symbolizing eternal life. The material was molded with crystals and stones, each having a different meaning to its power. Trudy had said that the pendant not only offers protection, but significant magic as well. She constantly reminded Lily to never take it off. On Lily’s thirteenth birthday, Arthur had given her stacks of Nathaniel’s journals, which she was almost finished reading. One journal remained, and a piece of her felt heartbroken knowing that the journal – and her father’s life – were coming to an end. She knew she wasn’t prepared to let him go, which resulted in her reading one page at a time instead of the several pages she use to read when she was younger. Reading through her father’s journals has helped Lily get to know him. Though she hasn’t met her parents, a large part of her missed them. All of the photos Trudy had of Claire were hidden because she feared for their safety. Lily remembered finding a picture of her mother and keeping it without her aunt knowing. She kept the picture inside of her spell book. She didn’t have a picture of her father and didn’t even know what he looked like, but that was to be expected considering that vampires don’t appear on film. Lily’s thoughts came to a halt as she was startled by something rubbing against her ankle. “What the –” she said. She looked down to see a black cat, but lost her balance. Her foot slipped on the ledge and she started to fall. Her hands reached for the building, trying to grab onto anything she could, but there was no hope. The cold air struck her body like a harsh wave drowning her in water. Her body stiffened for a split second then unexpectedly relaxed. She positioned herself vertically as she came to an abrupt stop and remained floating in the air. She let out a laugh of relief as she looked around her, wiggling her feet at the empty space below. She looked straight ahead, realizing she was in front of her window and could see her Aunt Trudy staring at her, eyes wide and mouth open. Lily knew she was in trouble, especially because she was out where people could have seen her. But at that moment, she didn’t care.Her arms lifted from her sides and she landed safely onto the sidewalk in front of the apartment building. Lily was astonished at what just happened. She looked at her watch – five minutes into her birthday. Excitement overwhelmed her. Is this what she should expect from gaining all of her powers? She didn’t have the strength to float in the air before and the fact that she was able to do it without any spells or concentration amazed her. 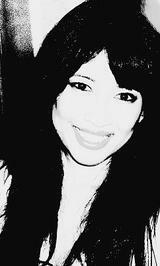 About the Author: Ley Mesina spent most of her childhood and young adult life writing short stories. She planned to teach after she graduated with her Master's in Psychology but, instead, decided to pursue her passion for writing. Ley lives in Southern California with her husband and children and is a frequent visitor of her own imagination. We thank Ley Mesina. Our review will be up tomorrow.